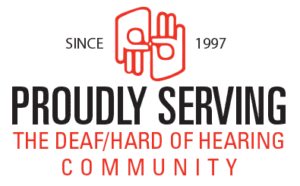 Debbie Grace, CEO and owner of 24 HOUR Sign Language Services, has been a professional sign language interpreter for over 26 years. Ms. Grace is nationally certified through RID (Registry of Interpreters for the Deaf) holding a Certificate of Transliteration (CT) and Certificate of Interpretation (CI) as well as State Qualified to interpret in legal settings in Colorado. Ms. Grace has family members who are Deaf and has grown up with a heart to the Deaf/Hard of Hearing community. Competitive Rates. No Hidden Costs.